In the past five years alone, there has been a 50 per cent increase in the number of restaurants open for breakfast according to Restaurant and Catering Association of Australia. Which means if you haven’t already developed your breakfast menu and thrown open the doors to early diners, you’re already behind the 8-ball. But that doesn’t mean it is too late. Breakfast is a significant opportunity for foodservice operators, and one that is only growing in popularity as Australians look to dining-out experiences without the fuss. 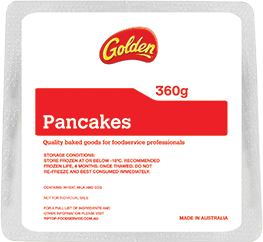 Creating a quality and cost effective breakfast offering is not a simple task. It is important businesses create menus that balance classic breakfast meals with on-trend and more creative specials. Are foodservice professionals really taking advantage of the explosion in demand for breakfast? To truly profit from the breakfast trend in 2017, kitchens must start thinking about what is selling and why? And though the breakfast trend isn’t new, what new offerings can they create that suit the evolving opportunities in the market? Here are our five, long lived and loved menu items, and how to make them your own. Breakfast presents so many growth opportunities and potential for creativity and innovation where dinner and lunch are lacking. Taking note of these trends early and taking steps to incorporate this knowledge into your menu will have you ahead of the curve. But it can also be as simple as starting with the basics. 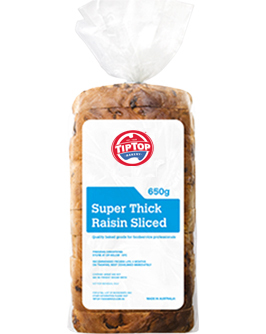 “I encourage customers to start with bread,” says Darren O’Brien National Account Manager at Tip Top Foodservice. “Begin with the simple introduction of a bread selection option, then move on to more innovative dishes.” This may mean offering everyone’s favourite smashed avo on toast but allowing customers to choose between Rye, Sourdough, Ciabatta or Turkish as the base. You can either be told what to serve by your customers, or lead your customer in another direction. Restaurant and cafe owners often say, ‘we just give the customers what they want’, but sometimes you can introduce them to things they’ve never tried before. Fritters are an excellent example – a dish not many customers would readily make at home for breakfast but something so easy for a commercial kitchen to create in the morning. Play around with flavours and accompaniments and fritters will soon become one of your most popular items. Baked eggs are the perfect ‘make ahead’ menu item for any venue. Pre-preparing the dish so all you have to do is crack a couple of eggs into it when the orders start rushing in is ideal for busy kitchens. Baked eggs are popular with most diners – and can be easily added to a rotating specials menu where the flavours change from traditional Middle Eastern shakshuka to Mediterranean or even Mexican offerings. What chefs need to remember is any prepared food item they use in making a dish like this needs to actually save time. 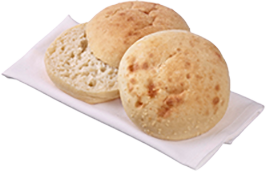 Take pre-baked bread for example, you want the smell, texture and taste of just-baked bread without the hassle of baking it in house – it’s a perfect addition to baked eggs as it can be baked at the same time. Cafes and restaurants need to make sure they give someone a reason to go out for breakfast. Darren O’Brien reminds chefs: “There’s life beyond avocado on toast.” This is particularly evident in the trend towards reviving old menu items; items that people have forgotten about in recent times. French toast and pancakes are perfect examples. “We are seeing a resurgence in retro meals like pancakes and French toast at breakfast,” explains O’Brien. It is rare for people to make their own pancakes at home nowadays, so offer them something decadent they can really look forward to and not mind paying for. “In my humble opinion Australia leads the world when it comes to coffees and cafe breakfasts, so for me the best place to look for inspiration is in our own backyard,” says Mal Gill, owner at Shady Palms in Brisbane. “I expect to see another huge year of growth for convenient breakfast items that can be eaten on the go and the return of some classic 90s dishes with a modern twist.” Café owners should consider the addition of ‘Jaffles’ to their menu for this grab and go crowd. Able to be filled with anything, from the classic eggs and spaghetti to more decadent haloumi and bacon creations, jaffles also allow chefs to provide a point of difference on their menu. 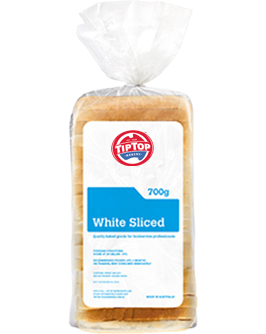 Tip Top Foodservice’s frozen range of breakfast breads are the perfect foundation for a new breakfast menu. The products thaw quickly meaning minimal impact on preparation time and can be stored in the freezer for up to four months. This allows foodservice outlets to always have sufficient product on hand to meet demand, whilst also minimising waste. The products come in small cartons (usually of six units) and can be added to your existing order with your local foodservice distributor.